During anagenesis, a species slowly accumulates changes until it reaches a point where it’s no longer the same species it was thousands or millions of years ago. 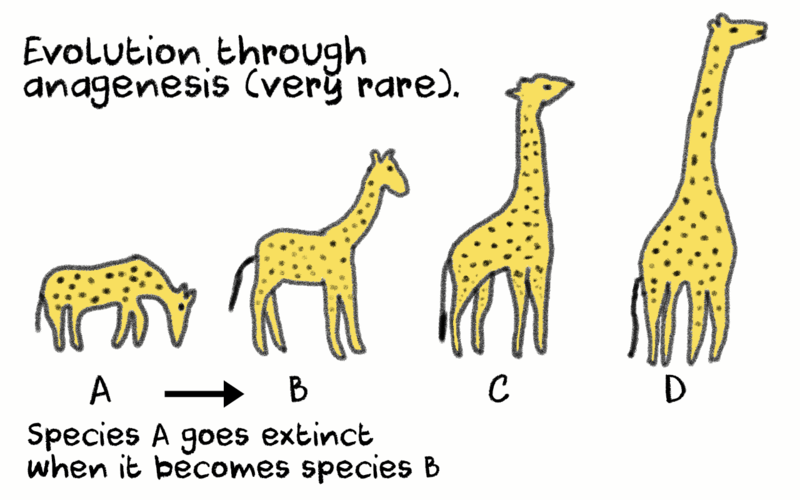 According to Lamarck, the giraffe evolved anagenetically, gradually elongating its neck. In ideal circumstances, a species would stay the same forever. But environmental conditions change so the species adapts to them. Once these changes reach a tipping point, species A becomes species B (even if they seem to be very similar). 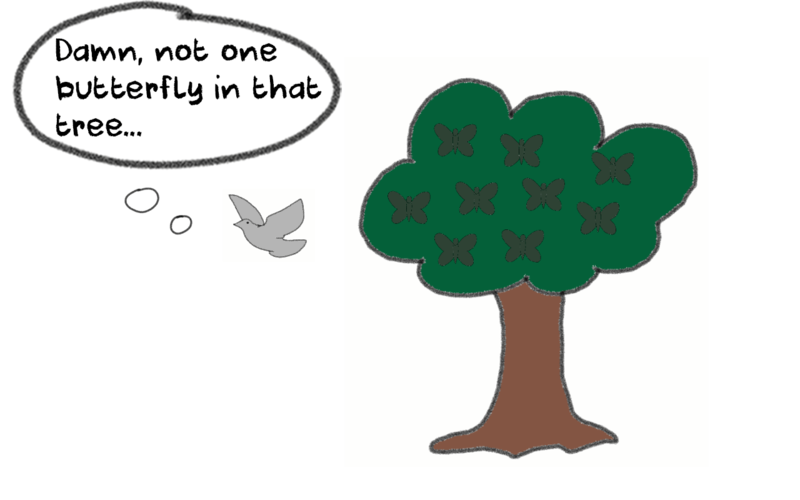 The defining feature of anagenesis is the absence of branching seen in cladogenesis. The original species doesn’t die off, but over time it simply dissolves into the new species. The horse started its evolution from a small, unassuming mammal, called Eohippus, meaning “dawn horse”. It was a short animal, somewhere between 12-20 inches/30-50 centimeters tall. 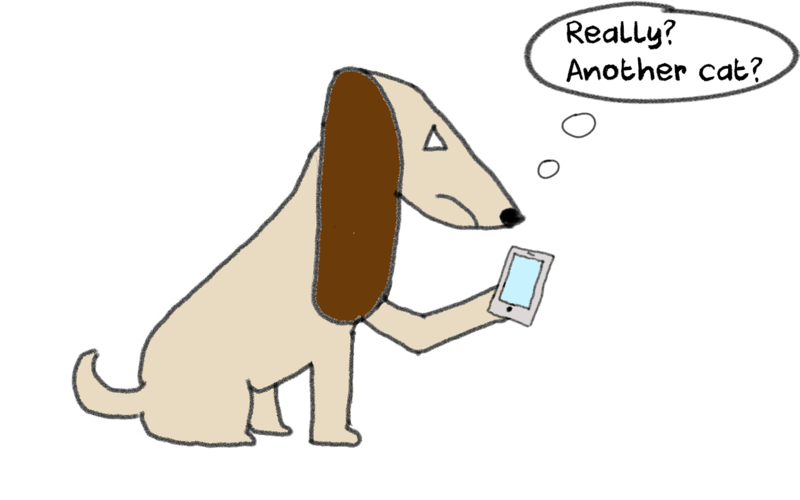 Its back was arched, with a short neck, a short snout and a long tail. One of its most distinctive features however, was that its legs had 5 toes instead of a single hoof like modern horses. Admittedly, the front feet had only 4 visible toes, with one of them being vestigial that didn’t even touch the ground. Its hind feet also had 2 vestigial toes that didn’t serve much of a practical purpose. The toes were also padded, much like a dog’s paw. 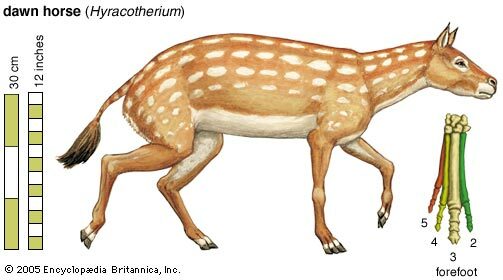 To sum up, Eohippus looked more like a vegetarian dog than a horse. 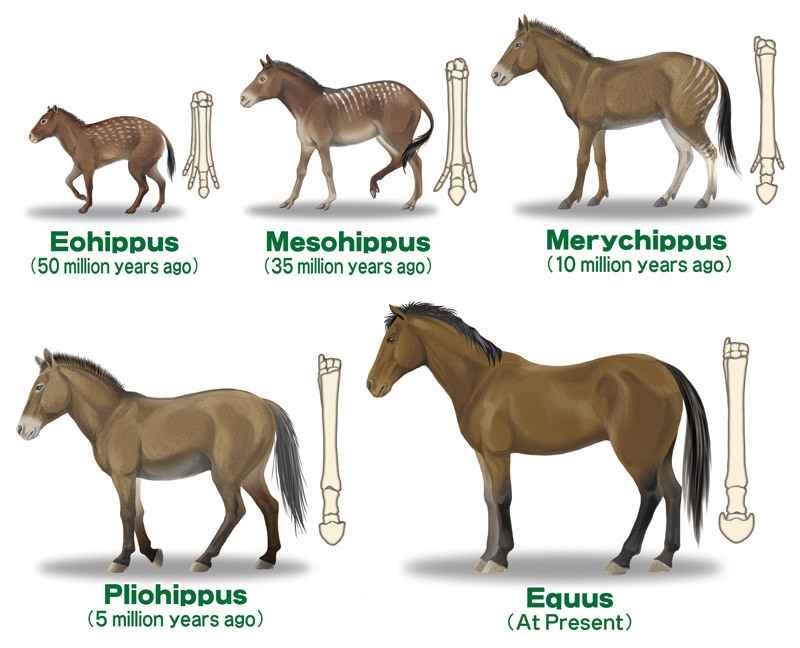 Over tens of millions of years, a long chain of horse species connected Eohippus to the modern horse and its latin name: Equus. The biggest and most visible of these evolutionary changes is the overall size of the animal, but especially its feet. In the beginning, Eohippus lived mostly in forests and jungle environments, and fed primarily on leaves. But over time, the preferred habitat of the Equidae (horse evolutionary family) shifted from forests to plains. The wide, open spaces of plains encouraged the Equidae to become bigger so they could discourage smaller predator animals, and also faster to outrun the larger ones. For this reason the ancestors of the horse gradually lost most of their toes and padding, and instead developed a single hoof. The evolution of the horse isn’t a perfect example of anagenesis. Those are very few and far between and don’t exhibit such dramatic changes (think one plant species becoming another plant species). So we used the horse as an imperfect example of anagenesis. We say imperfect, because at some points, some ancient horse species branched off into multiple species. 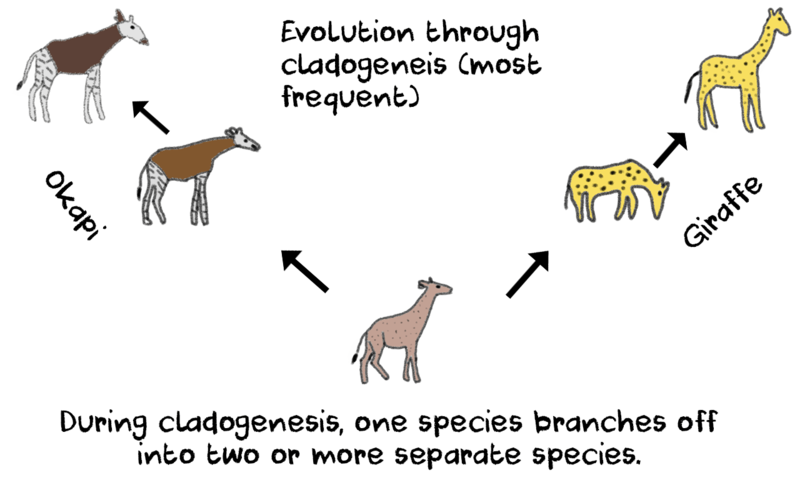 In other words, some ancient horse species evolved through cladogenesis. During cladogenesis, one species splits up into two or more groups, with each one evolving on its own path, until the groups are now different species. In cladogenesis, it’s not mandatory for the parent species to die off. Often times, the parent and daughter species end up living side by side, oblivious to the fact that at one point they were same kind of animal. In most cases, a geographical obstacle is responsible for creating the division and preventing members from one group to mate with members from the other group. The scientific name for this is allopatric speciation. For instance, a wide river appears on an island and splits it in half. Because of this, animals from one side of the island are unable to cross into the other one. So now, genetic communication between the two groups is cut off, and reproductive isolation ensues. If the environment on each half of the island is sufficiently different from one another, then evolutionary pressures will force each group to adapt in distinct ways. After many generations, the accumulated changes make it genetically impossible for one group to reproduce with members of the other group, and by now speciation has occurred. One clear cut example of this are several species of birds that live on the Galapagos Islands, known to biologists as “Darwin’s finches”. A few million years ago, a single species managed to reach one of the Galapagos islands. Afterwards, it colonized all of the others. However, the islands weren’t identical to one another, so the initial parent species branched off into multiple species, each one adapted for the environment on its particular island. 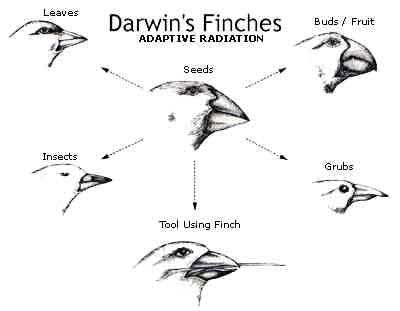 This is most apparent with their beaks, which specialized around certain food sources. 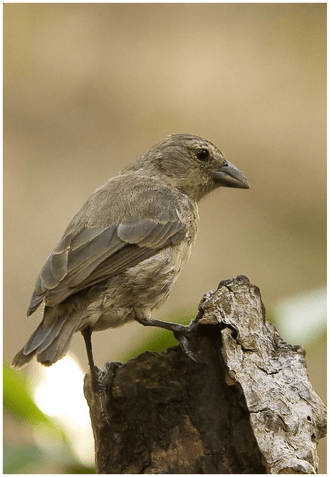 For example, mangrove finches evolved to eat insects, so its beak is long and narrow, in order to scour tree barks and reach spots and insects that are difficult to access otherwise. 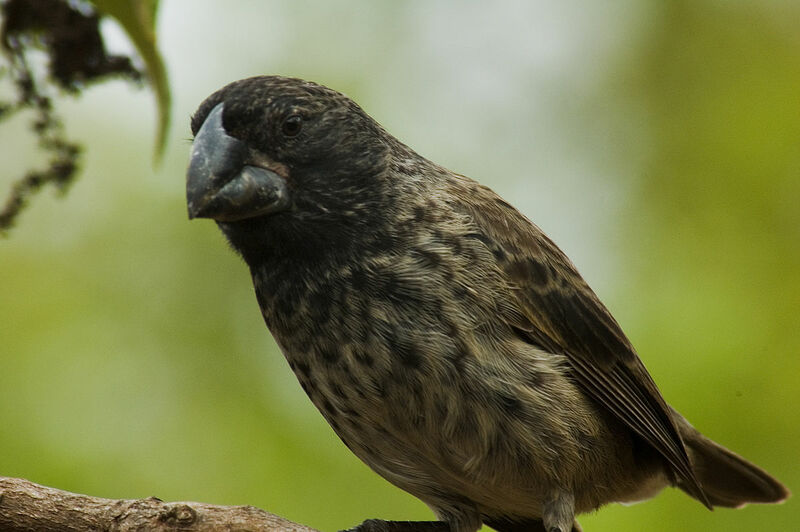 But a large ground finch evolved to eat big seeds and nuts, so it needed a sizeable and powerful beak in order to break their tough shell. The other way a species evolved through cladogenesis is by sympatric speciation. In this case, there is no geographic separation of any kind. Animals from one group live right next to the other group. What separates the two however, are differences in behavior. For instance, scientists speculate that North Atlantic killer whales might be in the initial phases on sympatric speciation. One population of killer whales prefers to eat fish, while the other goes after seals and mammals. These dietary preferences influence almost every other aspect of a killer’s life. It changes their hunting patterns, vocalizations and, over time, physical adaptations. In biology, the main criteria used to separate one species from another, is if animals from a certain group can reproduce with animals from another. 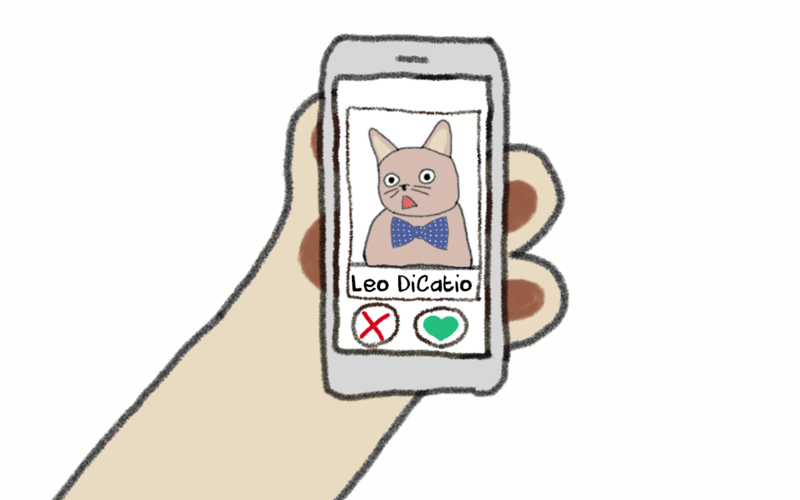 Dogs and cats wouldn’t make very good couples. Neither do bears and wolves. However, dogs and wolves can successfully reproduce. Even though it’s been 15,000 years since wolves were domesticated as dogs, speciation didn’t have enough time to occur, so dogs and gray wolves are the same species: canis lupus. 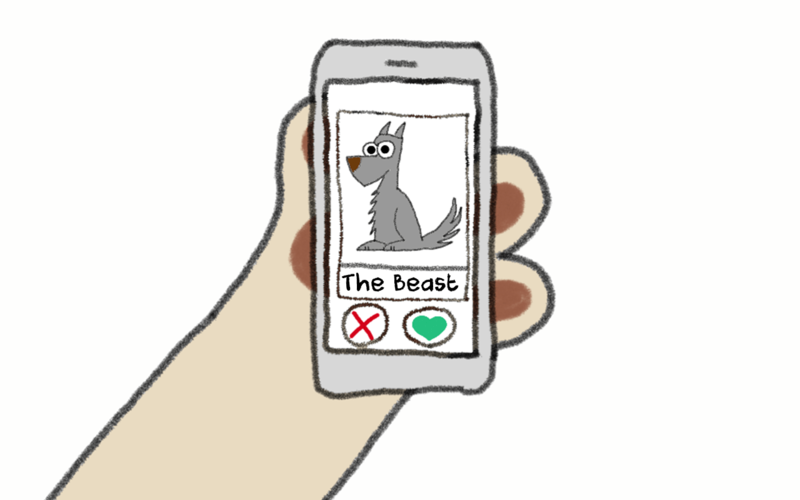 A dog and a wolf can conceive a perfectly fine pup, with shared characteristics from both parents. However, a wolf and a bear cannot conceive a “wolfbear” or “bearwolf”, so they are classified as different species. In some very rare cases however, two animals from a different species can interbreed, but the resulting offspring is genetically sterile and cannot further reproduce. This is the case with mules (horse + donkey). Animals from these two species can reproduce because they are often evolutionary cousins and genetically similar.. Their offspring however suffer from a mismatch of chromosomes which makes them genetically unable to conceive descendants of their own. From an evolutionary point of view, animals are unable to reproduce with members from another species in order to protect their genetic makeup. Its Nature’s way of keeping things in neat order to prevent biological chaos. The natural habitat of a species is rarely stable and static for prolonged periods of time. Changes happen, sometimes at great speed, and challenge a species way of life, forcing it to either adapt or face extinction. Sabre-tooth tigers lived around 2.5 million to 10,000 years ago and primarily ate big animals such as buffalos and camels. Those animals were so big and slow, that sabre-tooths had to rely on strength rather than speed in order to hunt them down. For 2 million years, sabre-tooth tigers were at the top of the food chain. But 10,000 years ago, climatic changes and/or overhunting by humans, drastically reduced the numbers of big prey animals available for it to hunt. Over the course of a few generations, big and slow herbivores were replaced by smaller and faster ones. Unfortunately for the saber tooth, these were faster and harder to catch. To make matters worse, nimbler cats such as cougars and mountain lions now competed to hunt the same prey. 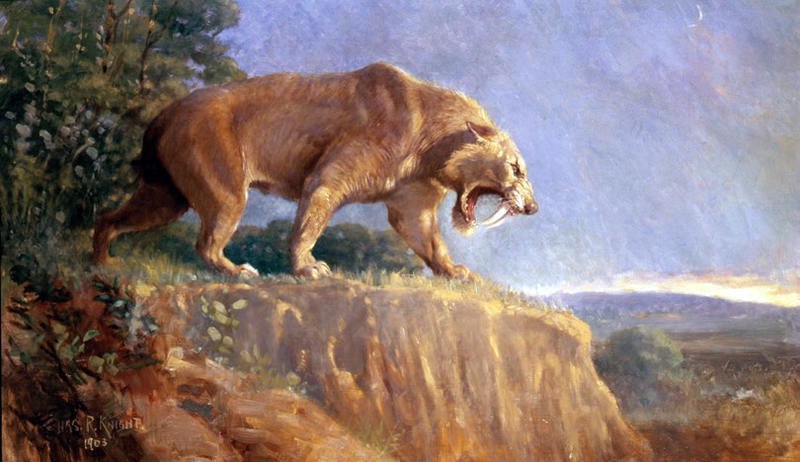 If time had been on the sabre tooth’s side, it might have been able to adapt to the changes and become better at hunting the available prey. But the pace of these changes was much too frantic. By some estimates, they took place in a time span of 100 to 200 years. There just wasn’t enough time for adaptations to appear and spread throughout the population. Lack of big prey, competition with smaller cats and hunting by humans all forced the sabre tooth tiger into extinction within a couple of centuries. But not all species go extinct when confronted with sustained evolutionary pressures. Some of them might retreat, adapt and then pounce back to life, more prosperous than before. But then, around the year 2000, bed bugs made a comeback. 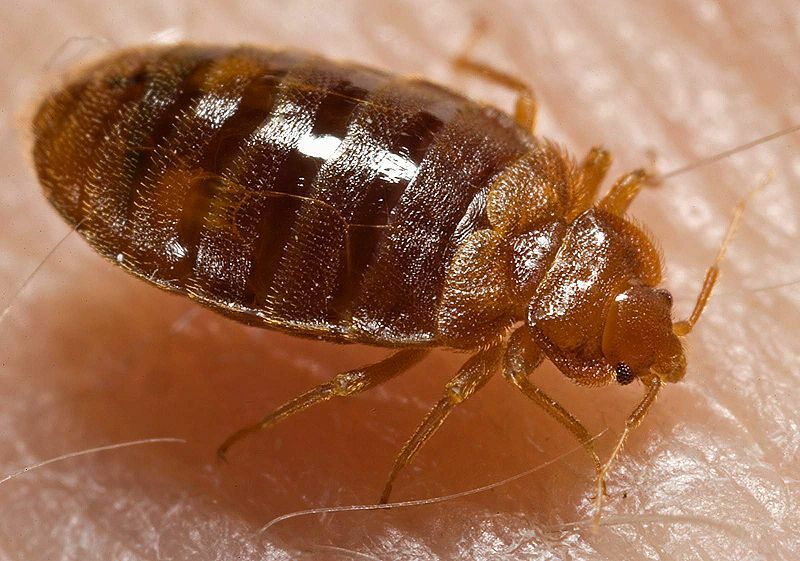 The number of bed bug incidents in New York rose from 500 in 2004, to 10,000 in 2009. When scientists studied the cause of the resurgence, they found out that bed bugs had now evolved a thicker and oilier exoskeleton, which shielded the bugs from harmful insecticides. Another adaptation increased the number of enzymes capable of processing toxins within insecticides, rendering them ineffective and keeping the bug safe. 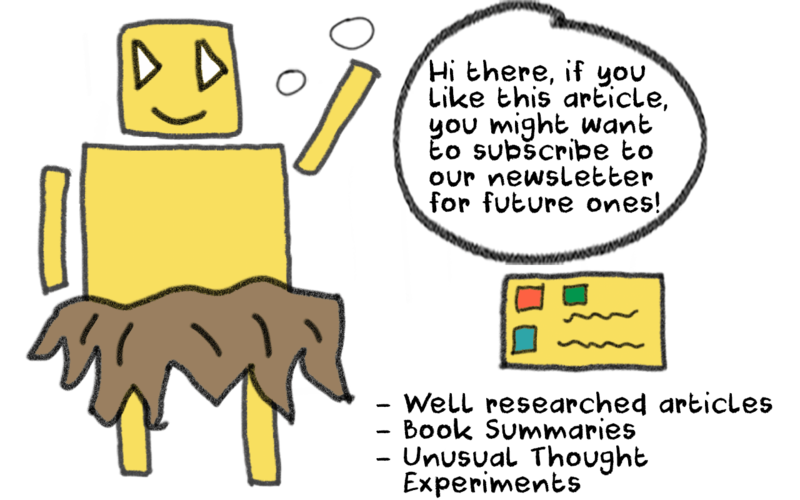 So we know the “why” behind the appearance of an adaptation, but how exactly does it spread? Let’s say we have a group of 10 peppered moths. 5 are black, and the other 5 white. Despite their different colors, the moths are the same species and reproduce with each other without any issue. 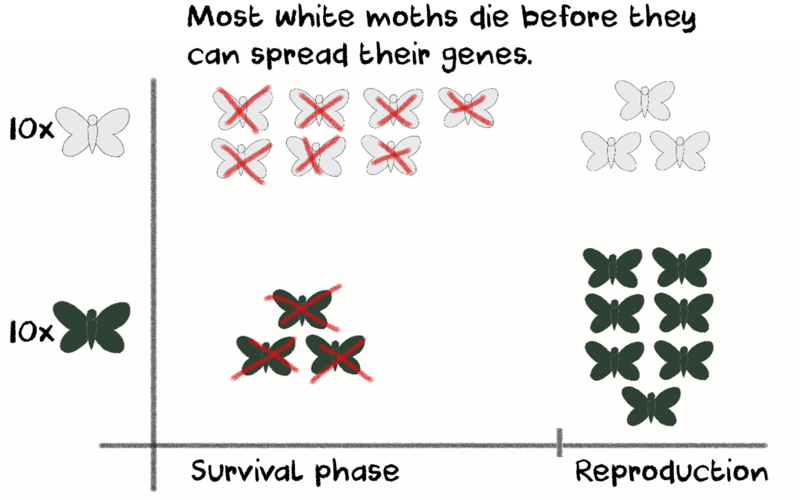 Because of their evolutionary adaptation, black moths survive longer than white moths, and are able to reproduce more frequently, which then passes on their black colored gene. 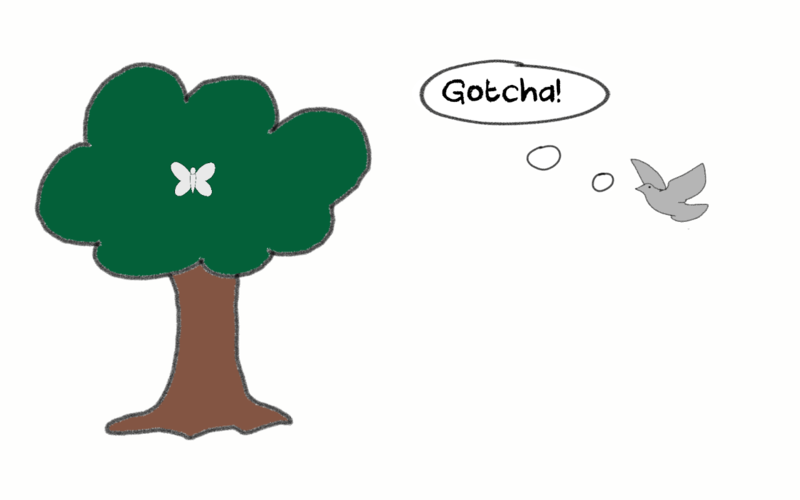 Over time, the number of white colored moths becomes smaller and smaller compared to the black moth population. At some point, it either dies out completely, or it becomes an insignificant fraction of the population. This is natural selection in action, and its basic principles apply in much the same way across the whole animal kingdom. Natural selection always favors the individuals capable of reproducing. It doesn’t matter if other animals within the group are healthier, stronger, faster or smarter. If they can’t leverage those advantages in reproduction and pass them on to the next generation, then those traits will die out. Biologists call this evolutionary fitness. 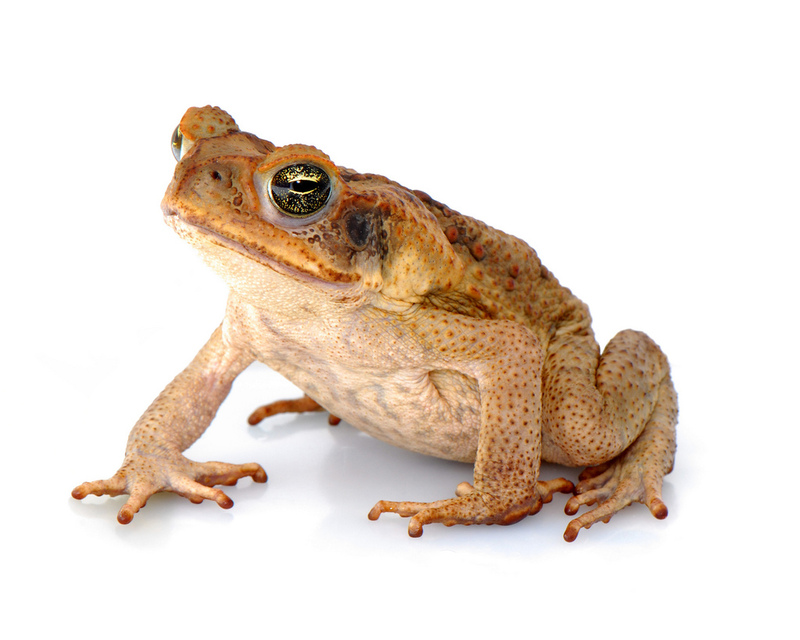 Around the middle of the 20th century, Australia introduced the cane toad to the country as a pest control animal against crop eating insects. Of course, things didn’t turn out so well, and the cane toad itself became the pest and very quickly spread throughout the land. Biologists discovered cane toads evolved in an interesting way. Australia is very big, and cane toads wanted to colonize all of it. But their short legs and general body size aren’t well suited for the long marathons required to cover it. As a response, the toads evolved longer legs, stronger endurance and greater speed. But this came with a tradeoff, since their general health suffered and spinal injuries became common place. So why did natural selection favor the less healthy toads? In their race to acquire more land and territory, the faster toads clumped up at the front of the pack, while the slower ones got left behind. The toads at the front were closer together, and thus more accessible for reproduction. But the slower toads trailed over larger distances, and so they rarely met each other in order to reproduce. 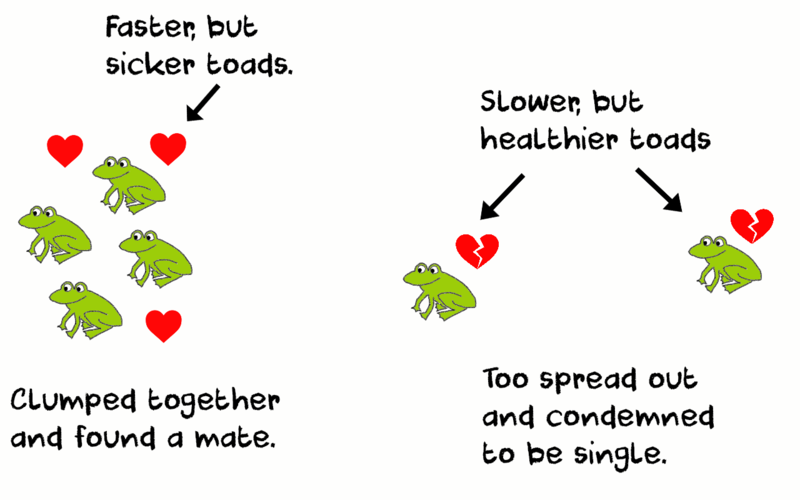 As a result, the faster toads ended up spreading their genes, while the slower ones died as bachelors, so that the overall toad population became faster (and sicker). Humans too have undergone natural selection in their own way. Most mammals can only drink milk in their infancy. This happens because adulthood shuts down an enzyme responsible for processing milk, rendering the animal lactose intolerant. 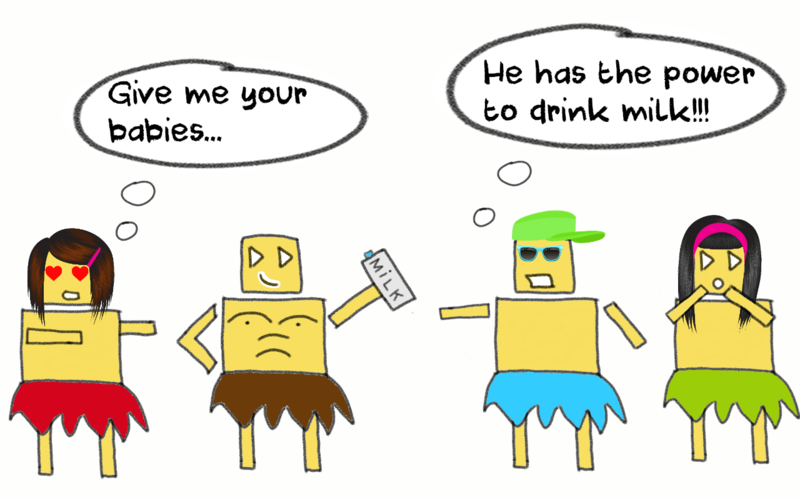 Humans are one of the few species that can drink milk into adulthood, but this is only a recent development. Around 10,000 years ago, someone living around modern day Turkey discovered he could drink milk without suffering any of the side effects, such as diarrhea or stomach cramps, that plagued other adults. This was a very useful gene to have, since 10,000 years ago was right around the time we developed agriculture, which severely messed up our eating habits. Until then, we had a diverse, hunter-gatherer diet but agriculture replaced that with a much more limited set of crops that didn’t provide all of the nutrients we required. Your crops failed to grow and didn’t have another food source. You had no immediate water supply. You needed extra calcium, since there is too little sunlight around to process vitamin D.
Individuals who had the lactose tolerant gene survived longer than the ones without so over the course of generations the gene spread throughout most of the European population. But the conditions that helped spread the lactose tolerance gene among Europeans didn’t exist for those in Africa, the Middle East and Asia. For one, crop harvests tended to be more reliable, so the risk of famine was lower. Secondly, the climate wasn’t as welcoming to dairy herding as it was in Europe. These, and other causes, limited the opportunity window for the lactose tolerance gene to take hold among the population. 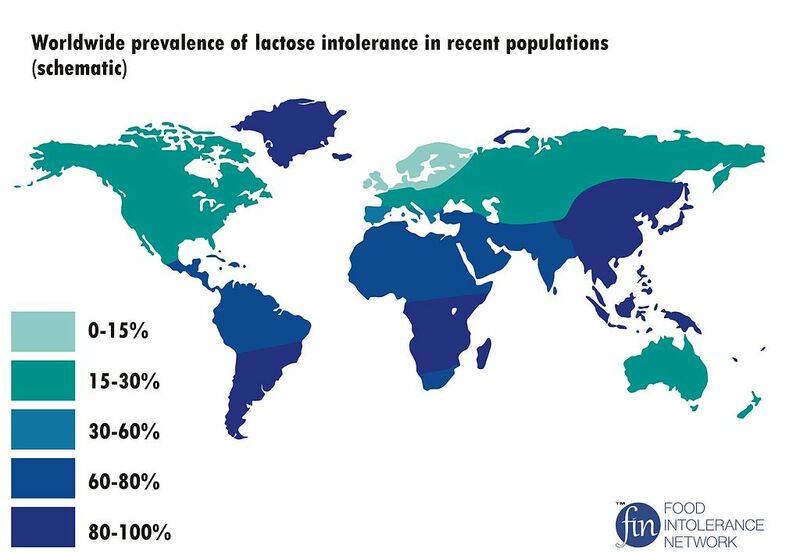 The spread of the lactose tolerance gene is atypical, since it spread within a few thousand years. But it’s a testament that we, as a species, are still evolving, even if the pace is so slow we can barely notice it. One of the things we should be curious about our own evolution is, will we evolve anagenetically, or undergo cladogenesis? Ereshefsky, M. 2001. Philosophy of Biological Classification. eLS. .
Futuyma, Douglas J. “On the Role of Species in Anagenesis.” The American Naturalist 130.3 (1987): 465-473. Strotz, Luke C., and Andrew P. Allen. “Assessing the role of cladogenesis in macroevolution by integrating fossil and molecular evidence.” Proceedings of the National Academy of Sciences 110.8 (2013): 2904-2909.